The Rocks head into their first friendly at Worthing on Saturday with coach Darin Killpartrick delighted by the start they have made to pre-season. Up to 20 players have been present at the club’s first few pre-season sessions at East Dean and Killpartrick says fitness levels and general spirit in the camp are both high. They’ll take everyone to Woodside Road for Saturday’s 3pm pre-season opener against the team they have left behind in the Isthmian League and try to give everyone 45 minutes or close to it. The build-up comes as players and fans digest the league fixture list, which was published yesterday. It has given the Rocks a home start and home finish – against Bath City and Dartford respectively – an early return to Nyewood Lane for former manager Jamie Howell with his new team Eastbourne Borough and a festive double-header with Havant. Those who have been attending training include the players from last season’s squad who have signed on for another season, new recruit Corey Heath and a number of youngsters who Killpartrick said were keen to impress and earn a place in the squad for the assault on National League South. Training began last Wednesday and so far four sessions in eight days have had the players working hard. Killpartrick said: “It’s been really organised and the players are already buying into what we’re trying to do. We’ve had 18 or 20 turning up which is excellent for this stage of things. Keeper Dan Lincoln has not been training with Bognor. He is hoping to land a deal with a culb higher up the pyramid but has inidcated he is open to a Nyewood Lane return if nothing comes off. 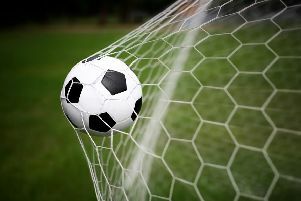 Gary Elphick’s Worthing give new player-boss Sami El-Abd’s Rocks their first test of the summer on Saturday, while Bognor then visit Chichester City on Fruday 14 and Michael Birmingham’s Horndean on Saturday 22. They host Crawley on Wednesday 26 and visit Gosport on Friday 28. The fixture list reveals that Bognor will welcome Howell back to Nyewood Lane with Eastbourne Borough on Bank Holiday Monday, August 28. Their 2017-18 National League South fixtures were revealed yesterday and the home clash with Howell’s new charges is one of the early-season highlights. The return game at Priory Lane takes place on Easter Monday, April 2. Rocks fans will particularly look forward to a festive double-header with big rivals Havant. They go to West Leigh Park on Boxing Day then host the return game on New Year’s Day. Whitehawk are also early-season visitors to Bognor – they are in town on Tuesday, August 15, while the Rocks visit their Enclosed Ground on Saturday, January 6. After starting the season at home to Bath City on Saturday, August 5, Bognor face two away games in the first week. They make the long trip west to Poole Town on Tuesday, August 8, then go to Welling on Saturday 12. The 42-game league season ends at home to Dartford on Saturday, April 28. Many culture-loving Bognor followers are also looking forward to visits to cities like Truro, Bath and Oxford – which fall on three Saturdays, October 28, December 9 and April 21.